While I was visiting Texas, I allowed myself to be guided by the locals on what to eat and drink. 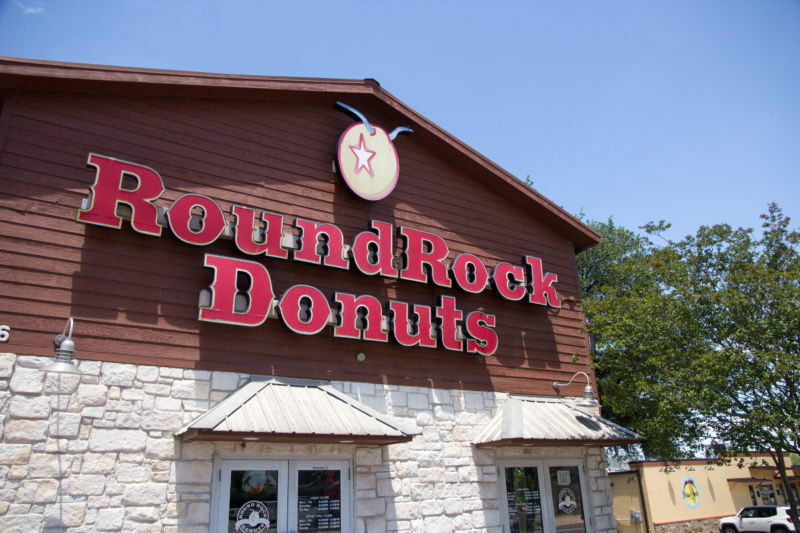 Round Rock Doughnuts is apparently legendary in the Austin area; just like Voodoo Doughnuts is in Portland, Oregon. This, I had to try. When I asked my girlfriend what made the doughnuts so special, she just shrugged and said: “They melt in your mouth like no other”. I had no idea what kind of doughnuts we were even talking about here, only that they were a secret recipe. 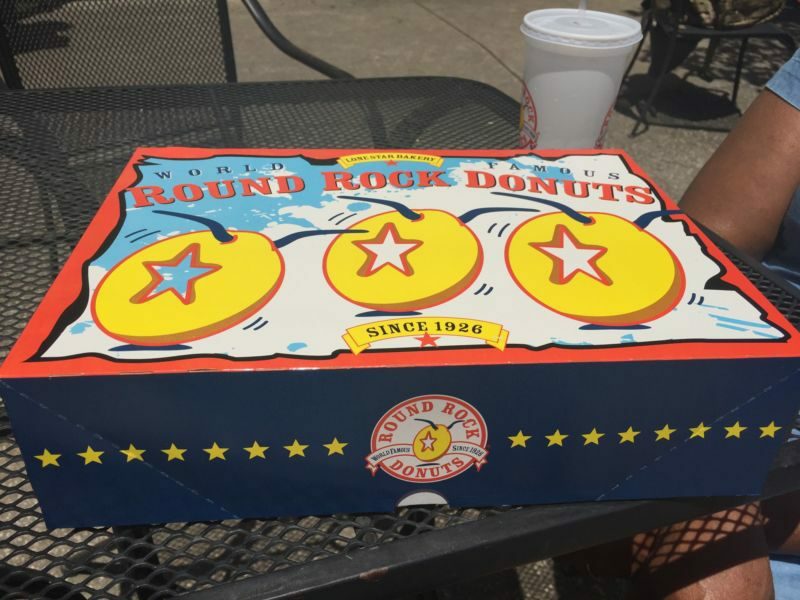 We drove to the adorable town of Round Rock, Texas on a beautiful day to find ourselves some of these legendary rounds of yumm. I had no clue what to expect. 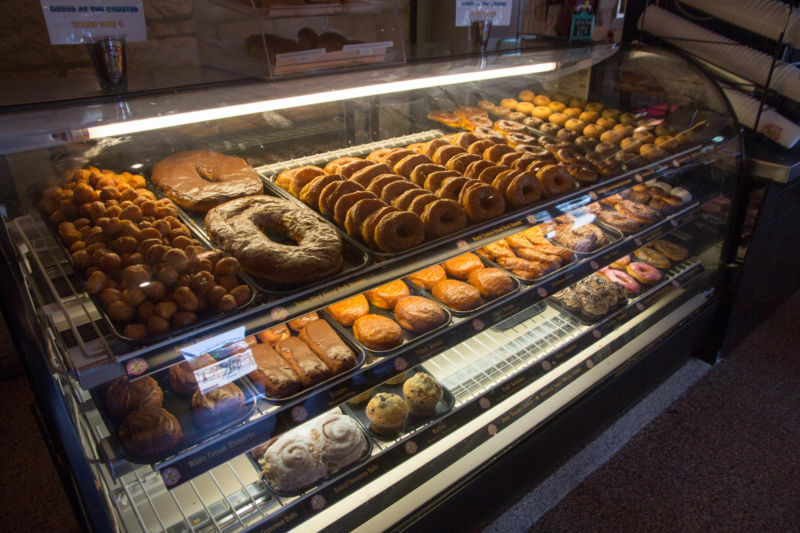 We pulled up to a nice, neat doughnut shop; off the main drag of the town with a drive up window that was busy, even though it was after 2 p.m. This was a good sign for me that this place was something special. When I walked in, I was surprised that it was also a regular bakery and they do cakes and cupcakes too. They also make something called Kolaches which are a Czech imported doughnut/pastry/Danish and sausage roll that have been adopted by Texans. I wanted to try those too but it was the special doughnuts we were after this day. While I barely had time to look in the case, my friend had gone and ordered a dozen doughnuts. I was wondering who the heck was going to eat them all? I have already been eating my way through Texas. Boy, am I gonna have to hit the gym when I get back to California! Anyway, when we opened the box, I was shocked to see a dozen glazed doughnuts. But that wasn’t the surprising thing, it was their color, a soft orange hue. Sweet Potato flour maybe? My mind started to wander before I even took my first bite. The glaze looked like it might have a little cinnamon in it. HOLY MOLY! 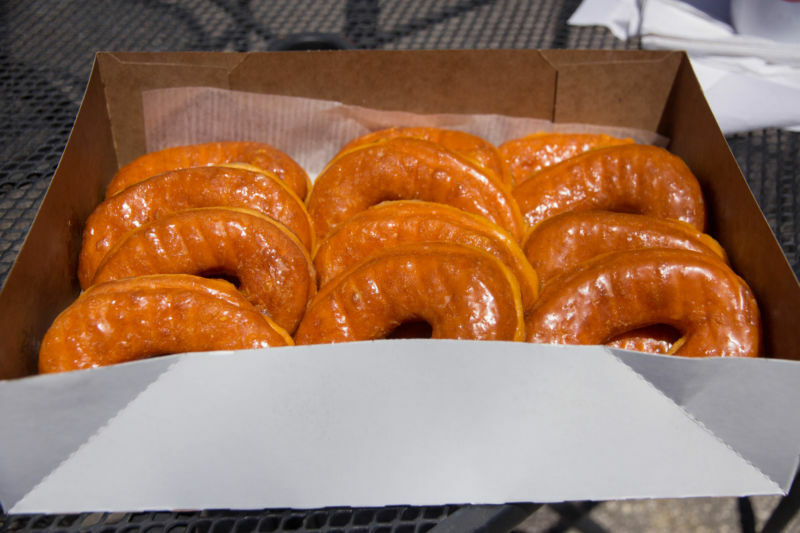 I know people rave about having Krispy Kremes, but they can’t have anything on these beauties. They melt in the mouth. So light, not greasy and oh so delicious. They were the cotton candy of doughnuts; unbelievable. I have to wonder if they use a special sweet potato or casaba flour to get this gorgeous light flavor and texture. I was so impressed. I hope they franchise. We need these in California. People would stop abstaining from sugar for these beauties! The Brit Comments: Based on the review I disagree with California’s Girl conclusion. We do not need more temptation in the state. Wine from Texas? This I have to taste!